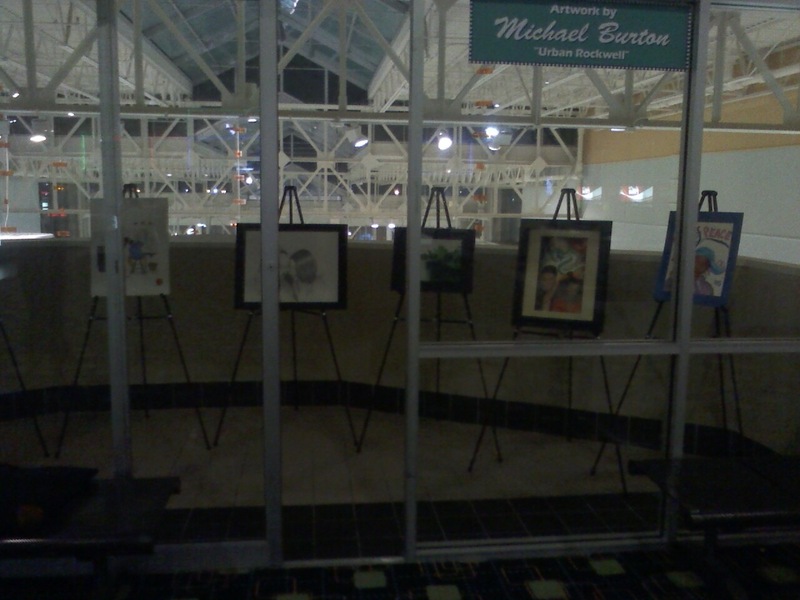 I managed to get a few pictures of the art exhibit at North Riverside Mall Movie Theater. The staff did a really good job promoting the exhibit. I was featured on classiccinemas.com as well as a few local newspapers. The display area is very nice. Located upstairs from the malls food court on a patio. 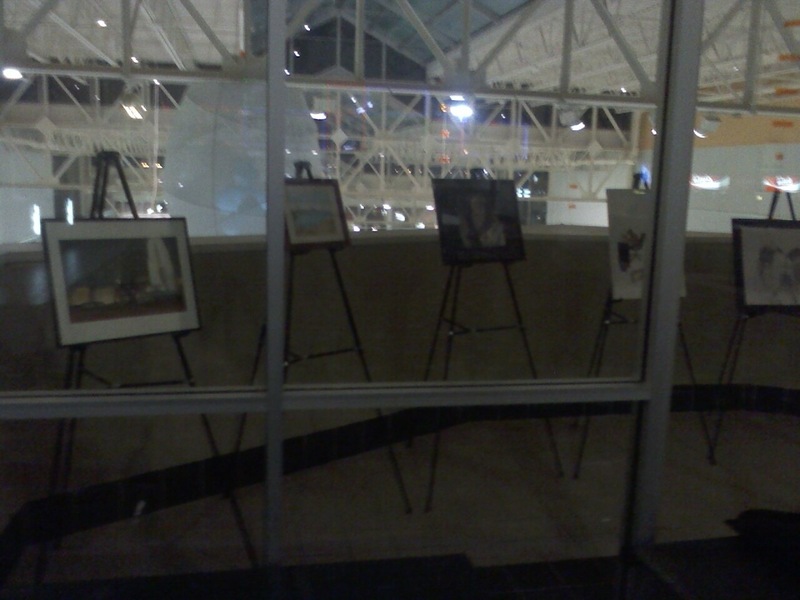 Part of the food court is actually what you see behind the images. 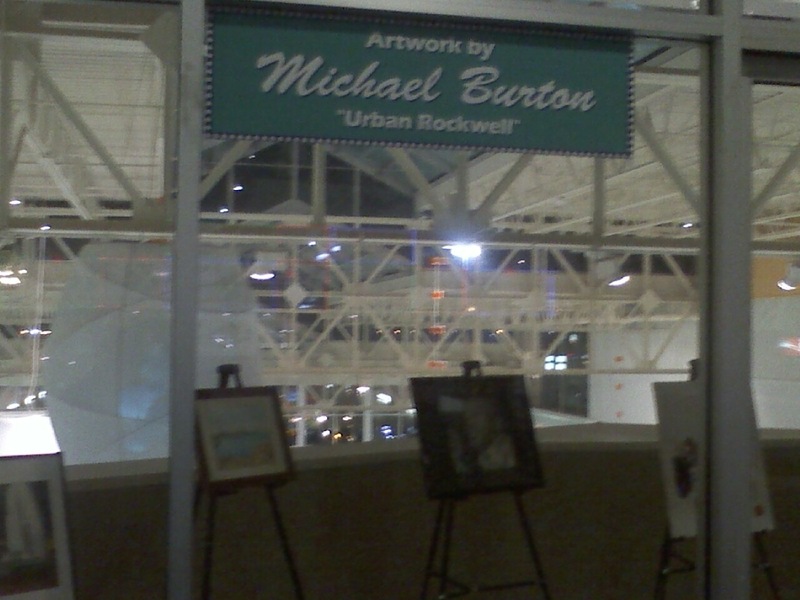 The theater also set me up 2 nice banners on each end of the exhibit area; giving it a nice touch. Also, I apologize, as I couldn’t get the best pictures with my crappy cell phone. I will make sure I have a camera for the next events. 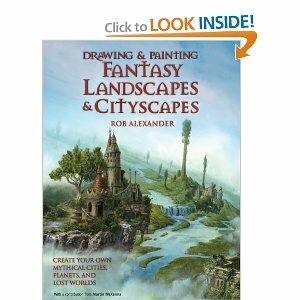 You are currently browsing the Urbanrockwell's Blog blog archives for March, 2012.